In the second middle-grade novel starring exuberant third grader Cilla Lee-Jenkins, the future bestselling author writes a Classic. Priscilla “Cilla” Lee-Jenkins has just finished her (future) bestselling memoir, and now she’s ready to write a Classic. This one promises to have everything: Romance, Adventure, and plenty of Drama—like Cilla’s struggles to “be more Chinese,” be the perfect flower girl at Aunt Eva’s wedding, and learn how to share her best friend. In Cilla Lee-Jenkins: This Book Is a Classic, author Susan Tan seamlessly weaves experiences as a Chinese American with universal stories about being a big sister, making friends, and overcoming fears. 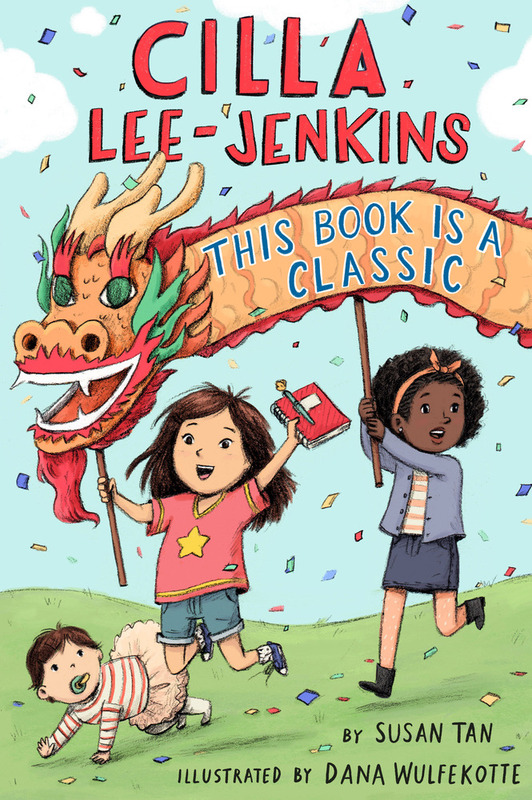 Cilla Lee-Jenkins will bulldoze her way into your heart in this winning middle grade novel about family, friendship, and finding your voice. My story starts last weekend on one of my favorite holidays of all time—Chinese New Year. Susan Tan has lived many places in her life, but calls Concord, Massachusetts, home. She grew up in a mixed-race family, and, like Cilla Lee-Jenkins, had very little hair until the age of five. After studying at Williams College, she earned her PhD from the University of Cambridge, where she studied children's literature. She currently lives in Somerville, enjoys frequent trips to Chinatown to eat tzuck sang, and teaches at the University of Massachusetts, Boston.